Eaton UPS systems leverage technical innovation to develop next-generation solutions and are designed to fulfill specific customer requirements, whether intended to complement a new or pre-existing solution, or deliver a single comprehensive solution. Eaton is a leading global provider of comprehensive power quality and backup power management solutions, consistently delivering the high 9s of availability demanded by today’s digital economy. Eaton solutions have been recognized by UPS users and industry experts for delivering the highest level of customer value and satisfaction in addition to demonstrating the most insight into customer needs among all UPS vendors. 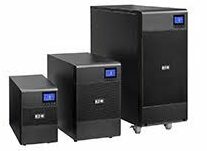 Ranked number one in the global UPS market above 5 kVA and number two at or under 5000 VA, Eaton products and services have earned the confidence of customers of all sizes worldwide. 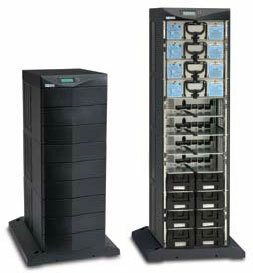 Eaton now offers a Lithium-Ion Battery Option in the 9395 and 93PM UPS. Li-Ion Batteries can be the perfect choice for your UPS and offer several advantages over traditional valve-regulated, lead acid batteries commonly used in UPSs today. For more information comparing Li-Ion batteries to VRLA, visit our Lithium-Ion page. 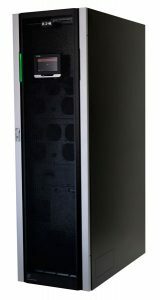 The Eaton 5P UPS delivers reliable, enterprise-class backup power in tower and rackmount form factors with an efficiency rating of up to 99%. With ENERGY STAR qualified models, the 5P's graphical LCD screen allows you to view UPS status in a single glance and provides more available power than comparable UPS. The Eaton 9PXM modular UPS offers enterprise class backup power for small to medium data centers, edge data centers, branch office locations, network closets and mission-critical applications. 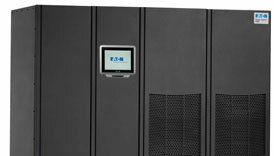 The Eaton 9PXM UPS is a scalable, modular backup power solution that combines the highest level of reliability with the lowest cost of ownership in the 4–20 kVA range. The Eaton 9130 has gone End Of Life (EOL) in May, 2017. The ideal replacement UPS is the Eaton 9PX. The Eaton 9155 UPS provides premium online backup power and scalable battery runtimes for IT and electrical engineering infrastructure in corporate, healthcare, banking and industrial applications. 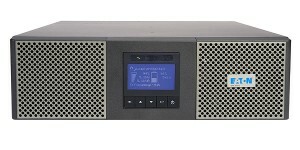 Packing maximum battery runtime into a very small footprint, the 9155 UPS is a complete power protection solution. Eaton has announced that the 9170+ is End Of Life (EOL) on December 31, 2018. The recommended replacement for the 9170+ is the 9PXM. Given the large install base and modular design of the 9170+, Eaton will continue to produce some support parts. 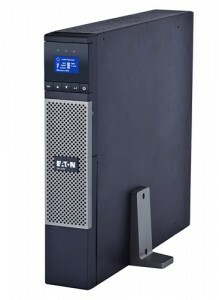 The Eaton 93PM UPS combines unprecedented efficiency, reliability and vertical or horizontal scalability with eye-catching design. A space-saving, flexible device that's as easy to deploy as it is to manage, it's the perfect three-phase white or grey space solution for today's data center. Packing maximum battery runtime into a very small footprint, the Eaton 9355 UPS is a complete three-phase power protection solution. The 9355 can be equipped with an integrated, customizable power distribution module that includes a maintenance bypass switch. Ideal for for IT and electrical engineering infrastructure in corporate, healthcare, banking and industrial applications. 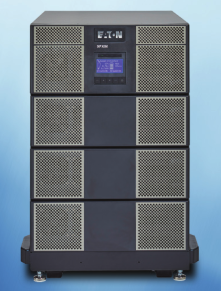 Eaton 9390IT UPS offers superior efficiency and flexible distribution options previously unavailable in 40 kVA UPSs. Standard Energy Saver System (ESS) technology in the 9390IT delivers an industry-leading 99% efficiency, reducing energy costs and heat output. With available integrated IT distribution options connecting and expanding IT equipment is a simple plug-and-play procedure. 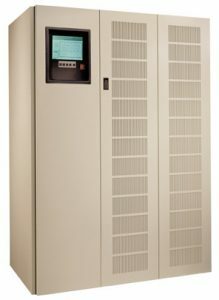 The energy-efficient Eaton 9390 UPS, 20 kVA - 60 kVA, provides backup power and scalable battery runtimes in a small footprint for mid-size data centers, medical equipment and other critical systems. With the groundbreaking Energy Saver System, the 9390 operates at 99% UPS efficiency and can pay for itself in three to five years. 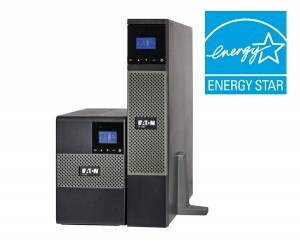 The Eaton 9395P UPS's (200-1200kW) provide industry-leading efficiency and scalable battery runtimes in a small footprint. Large data centers, healthcare applications, multi-tenant data centers, light industry, and other critical systems can lower their total cost of ownership by leveraging the ground-breaking Energy Saver System. The Eaton BladeUPS is a revolutionary power quality solution ideal for blade servers, data centers, networking applications, storage devices and critical IT equipment. Scalable and modular, BladeUPS expands power protection from 5 to 60 kW in a single 19-inch rack while reducing energy and cooling costs. Eaton has announced that the 9315 is at it's End Of Life (EOL) as of September, 2017. The recommended replacement for the 9315 is the Eaton 93PM. Eaton has announced that the 9315 is at it's End Of Life (EOL) as of September, 2017. The recommended replacement for the 9315 is the 93PM.